If we could transport Ptolemy, a famous astronomer who lived circa 90 – 168 A.D. in Alexandria, Egypt, he would have noticed the shift in position of Arcturus, Sirius and Aldebaran since his time. Everything else would appear virtually unchanged. Stars are incredibly far away. I could throw light years around like I often do here, but the fact is, you can get a real feel for their distance by noting that during your lifetime, none will appear to move individually. The gems of the night and our sun alike revolve around the center of the galaxy. At our solar system’s distance from the center — 26,000 light years or about halfway from center to edge — it takes the sun about 225 million years to make one revolution around the Milky Way. That’s a LONG time. The other stars we see on a September night take a similar length of time to orbit. Now divide the average lifetime of some 85 years into that number, and you’ll discover that an average star moves something like .00000038% of its orbit around the galactic center every generation. Phew, that ain’t much! No wonder most stars don’t budge in our lifetime. This graphic, made using SkyMap software created by Chris Marriott, shows the motion of Arcturus over a span of 8,000 years. Sirius, Aldebaran and Arcturus and several other telescopic stars are close enough that their motion across the sky becomes apparent within the span of recorded history. More powerful telescopes, which expand the scale of the sky, can see a great many stars amble within a human lifetime. Sadly, our eyes alone only work at low power! But we needn’t invest billions in building a time machine to zing to the future or past to see how the constellation outlines become distorted by the individual motions of the stars that compose them. We already have one! Just fire up a free sky charting software program like Stellarium and advance the clock. Like most such programs, it defaults to the present, but let’s look ahead. Far ahead. If we advance 90,000 years into the future, many of the constellations would be unrecognizable. Not only that, but more locally, the precession of Earth’s axis causes the polestar to shift. In 2016, Polaris in the Little Dipper stands at the northernmost point in the sky, but in 90,000 years the brilliant star Vega will occupy the spot. Tugs from the sun and moon on Earth’s equatorial bulge cause its axis to gyrate in a circle over a period of about 26,000 years. Wherever the axis points defines the polestar. Take a look at the Big Dipper. Wow! It’s totally bent out of shape yet still recognizable. The Pointer Stars no longer quite point to Polaris, but with some fudging we might make it work. Vega stands near the pole, and being much closer to us than the rest of Lyra’s stars, has moved considerably farther north, stretching the outline of the constellation as if taffy. Time goes on. We look up at the night sky in the present moment, but so much came before us and much will come after. Constellations were unrecognizable in the past and will be again in the future. In a fascinating discussion with Michael Kauper of the Minnesota Astronomical Society at a recent star party, he described the amount of space in and between galaxies as so enormous that “we’re almost not here” in comparison. I would add that time is so vast we’re likewise almost not present. Make the most of the moment. Behind the Big Dipper is something pumping out a lot of extremely high-energy cosmic rays, a new study says. And as astronomers try to learn more about the nature of these emanations — maybe black holes, maybe supernovas — newer work hints that it could be related to how the universe is structured. It appears that the particles come from spots in the cosmos where matter is densely packed, such as in “superclusters” of galaxies, the researchers stated, adding this is promising progress for tracking down the source of the cosmic rays. The study examined the highest-energy cosmic rays that are about 57 billion billion electron volts (5.7 times 10 to the 19th power), picking that type because it is the least affected by magnetic field lines in space. As cosmic rays interact with the magnetic field lines, it changes their direction and thus makes it harder for researchers to figure out where they came from. It’s possible the hotspot could be a fluke, but not very possible, the researchers added: there’s a 1.4 in 10,000 chance. And they’re keeping themselves open to many types of sources: “Besides active galactic nuclei and gamma ray emitters, possible sources include noisy radio galaxies, shock waves from colliding galaxies and even some exotic hypothetical sources such as the decay of so-called ‘cosmic strings’ or of massive particles left over from the big bang that formed the universe 13.8 billion years ago,” the researchers stated. Cosmic rays were first discovered in 1912 and are believed to be hydrogen nuclei or the centers of nuclei from heavier elements like iron or oxygen. The highest-energy ones in the study may come from protons alone, but that’s not clear yet. The paper is available in preprint version on Arxiv, and has been accepted for publication in Astrophysical Journal Letters. Comets often play hard to get. That’s why we enjoy those rare opportunities when they pass close to naked eye stars. For a change, they’re easy to find! That’s exactly what happens in the coming nights when the moderately bright comet C/2012 K1 PANSTARRS slides past the end of the Big Dipper’s handle. I hope Rolando Ligustri’s beautiful photo, above, entices you roll out your telescope for a look. If you’ve put off viewing this fuzzball because it’s been lost in the wilds of northern Bootes too long, hesitate no more. I saw it several nights ago through a 15-inch (37-cm) scope and can report a teardrop-shaped coma with a bright, not-quite-stellar nucleus. The comet sports an 8 arc minute long faint tail (1/4 the diameter of the full moon) and glows around magnitude 9-9.5. 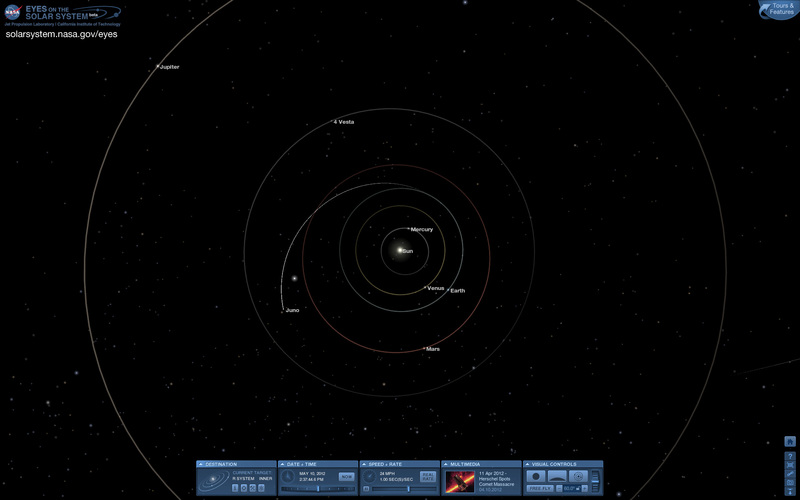 Granted I observed from dark skies, but K1 PANSTARRS could even be seen faintly in the 10×50 finderscope, putting it within range of ordinary binoculars. Ligustri’s photo shows both gas and dust tails, but most observers will probably pick up the dust tail and strain to see the other. The comet has been moving north and slowly waxing in brightness all winter and spring. Right now, it’s ideally placed for viewing in the early evening sky and remains up all night for northern hemisphere observers. 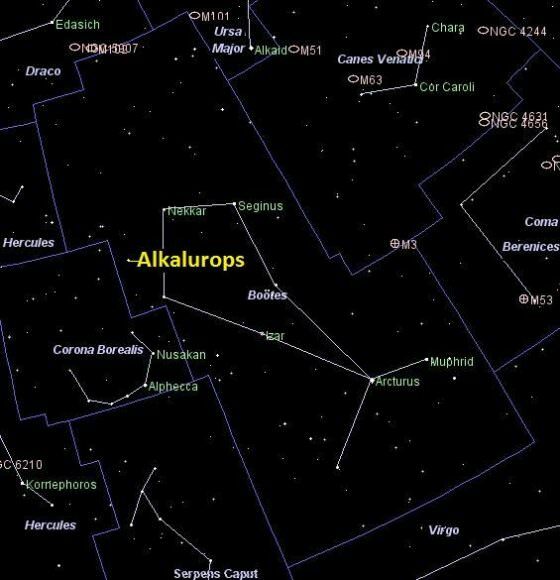 On Monday and Tuesday April 28-29 it’s within 1 degree of Alkaid, the bright star at the end of the Dipper’s handle. In a 6-inch (15-cm) scope, expect to see a faint puff with a brighter core; observers with 8-inch and larger telescopes will more easily see the tail. K1 PANSTARRS continues to brighten through the spring and summer as it saunters from the Great Bear into Leo. In late July it will be too near the sun to view but re-emerge a month later in Hydra in the morning sky. 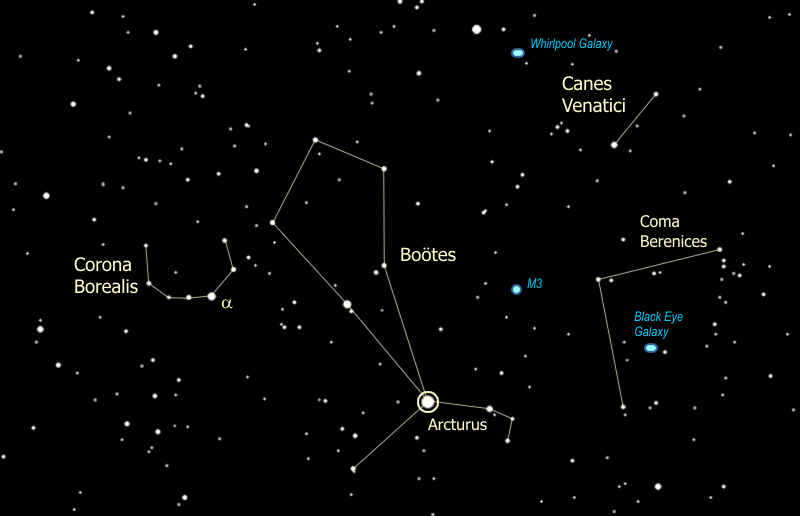 Southern hemisphere skywatchers will be favored during the fall and early winter, though the comet will continue to hover very low in the southern morning sky for northerners. Predictions call for the PANSTARRS to reach peak brightness around magnitude +6 to +7 in mid-October. Sounds like old C/2012 K1 will be around a good, long time. Why not get acquainted? Ice in Space on the Astronomy Cast website. The handle of the Big Dipper just got stronger! Astronomers have found an additional star located in the Dipper’s gripper that is invisible to the unaided eye. Alcor, one of the stars that makes the bend in the Big Dipper’s handle has a smaller red dwarf companion orbiting it. Now known as “Alcor B,” the star was found with an innovative technique called “common parallactic motion,” and was found by members of Project 1640, an international collaborative team that gives a nod to the insight of Galileo Gallilei. If Galileo had been able to see change over time in Alcor’s position, he would have had conclusive evidence that Copernicus was right. Parallactic motion is the way nearby stars appear to move in an annual, repeatable pattern relative to much more distant stars, simply because the observer on Earth is circling the Sun and sees these stars from different places over the year. The collaborative team that found the star includes astronomers from the American Museum of Natural History, the University of Cambridge’s Institute of Astronomy, the California Institute of Technology, and NASA’s Jet Propulsion Laboratory. Alcor is a relatively young star twice the mass of the Sun. Stars this massive are relatively rare, short-lived, and bright. Alcor and its cousins in the Big Dipper formed from the same cloud of matter about 500 million years ago, something unusual for a constellation since most of these patterns in the sky are composed of unrelated stars. Alcor shares a position in the Big Dipper constellation with another star, Mizar. In fact, both stars were used as a common test of eyesight—being able to distinguish “the rider from the horse”—among ancient people. One of Galileo’s colleagues observed that Mizar itself is actually a double, the first binary star system resolved by a telescope. Many years later, the two components Mizar A and B were themselves determined each to be tightly orbiting binaries, altogether forming a quadruple system. The team retuned a few months later and found the star had the same motion as Alcor, proving it was a companion star. Alcor and its smaller companion Alcor B are both about 80 light-years away and orbit each other every 90 years or more. The team was also able to determine Alcor B is a common type of M-dwarf star or red dwarf that is about 250 times the mass of Jupiter, or roughly a quarter of the mass of our Sun. The companion is much smaller and cooler than Alcor A.